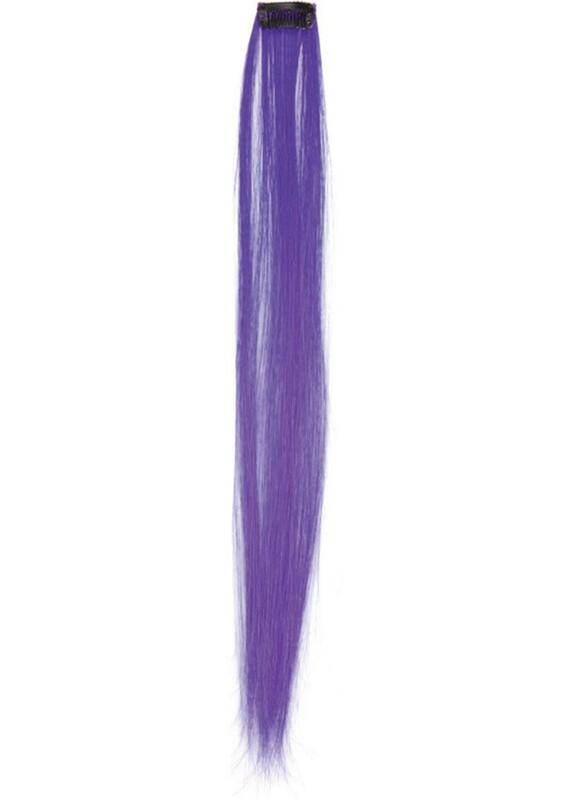 Clip-in synthetic hair extension. 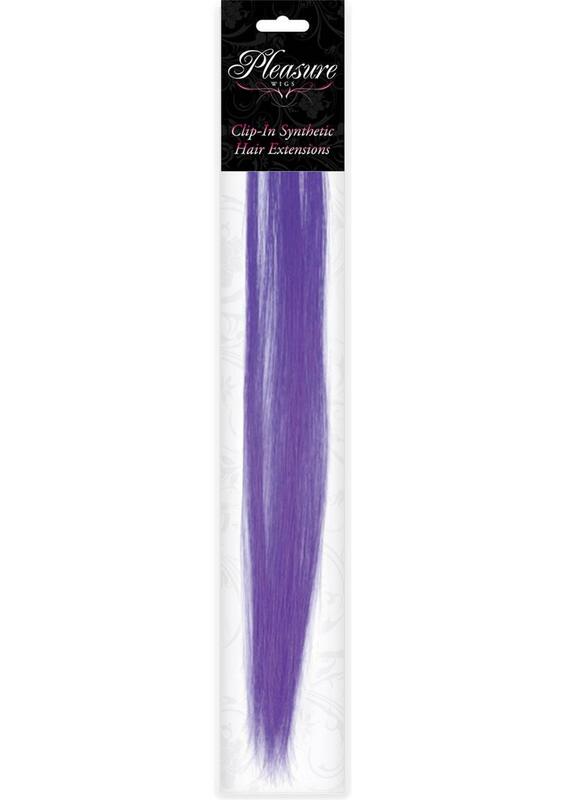 Instant purple color! Pressure-sensitive clip. Quick and painless placement/ removal. Heat friendly. Able to curl, flat-iron or blow dry. Made of 80% modacrylic and 20% PVC.